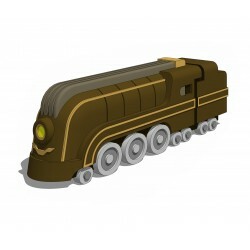 This set contains 1 x 3D locomotive of approximately 2 inc. length and a small sheet of rules. You can use the locomotive as a first player marker for the Tramways Engineer's Workbook OR/AND add it to your game with the new rules included in this set! You can also purchase several 3D locomotives since you can add maximum 5 locomotives in your game.